Martin Luther King, Jr. Day honors Rev. Dr, Martin Luther King, Jr., a Baptist minister and Civil Rights leader. MLK Day is celebrated on the third Monday in January. MLK Day is a national holiday in the United States. 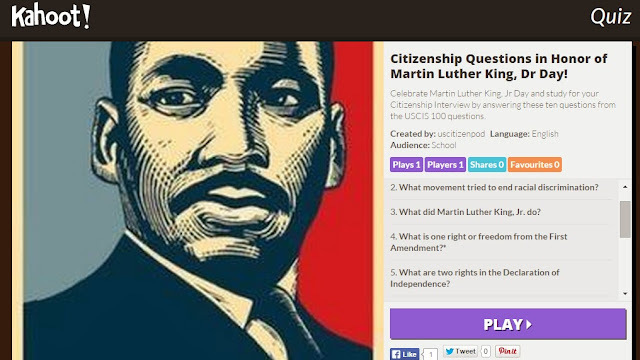 Kahoot.it: Citizenship Questions in Honor of Martin Luther King, Dr Day!